A New Zealand insect ecologist has developed a pesticide bait that targets wasps and does not affect honey bees. Richard Toft recently won a conservation innovation award from the World Wildlife Fund for his development of Vespex, which now has been successfully tested by the country’s Department of Conservation. Vespex is a protein bait containing the common insecticide fipronil, made by German company BASF and does not attract bees. 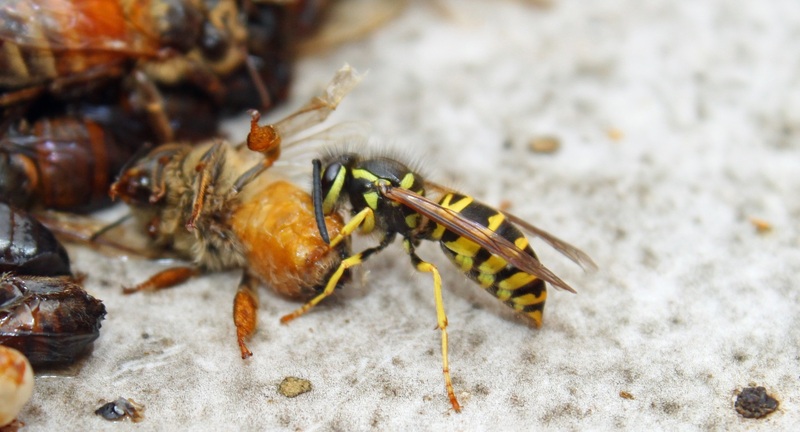 As wasps feed it to their larvae, many nests can be destroyed from a single bait station. Wasps are not native to New Zealand and have no natural predators that can control their population. They are estimated to cost about NZ$120 million a year through the disruption they cause to bee pollination and lost honey production. They also cost NZ$60 million in environmental damages and cost the health sector about $1 million a year in sting treatments. Conservation Minister Maggie Barry says as a result of Toft’s effort, New Zealand’s primary producers now have a new weapon in their fight against European wasps. The Department of Conservation tested Vespex on 5,000 hectares at five South Island sites last summer. Within a week of the first application, wasp activity was reduced by more than 95%. The product will only be sold to users undergo who training to ensure the bait is used correctly.